This is a multi-purpose blog that covers varied topics. I am Mohammed Abid Ali a Civil Engineer / Health Educator. Originally I am from Hyderabad, India but presently working in Riyadh, Saudi Arabia. Civil Engineering is my profession, health education is my passion. In return, I do not even ask a visitor to say (thanks) the least. If I ask so then it won’t be selfless. My motive is to serve people selflessly. Even if a single person gets something out of it; is itself a great satisfaction for me. I seek reward from Allah (SWT). The only request I want to make is to ask you to remember me in your prayers. Please subscribe to this blog to receive an email notification whenever a new post is published. Also please check the notifications in your spam/junk folder whenever an email notification is sent. If you find it in spam/junk folder, please click not spam/not junk to receive them in the inbox from the next time onwards. 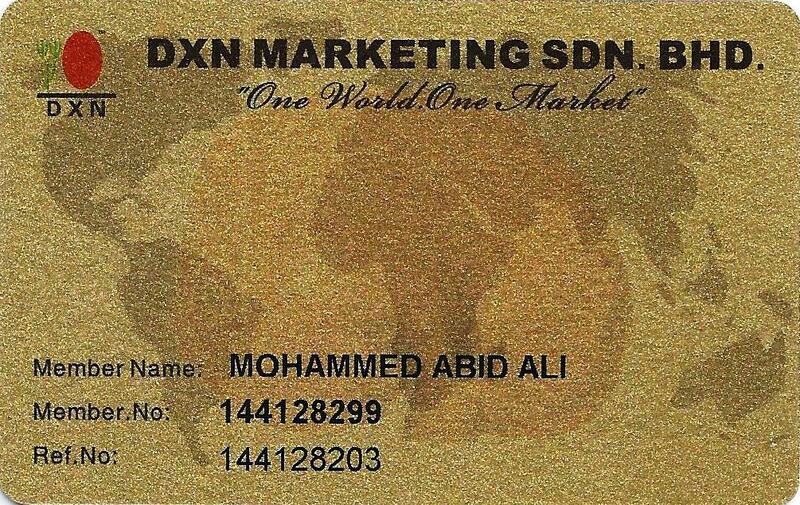 My mission is to see all my near and dear ones consuming DXN products and becoming healthy, wealthy & happy. When it comes to the question of health all the people in the world pay attention to it no matter how old/young and rich/poor are. Without anything else in the world one can survive but without health, one wouldn’t survive. In today’s world health has become a critical and much-debated issue, particularly when people are being assaulted by all sorts of toxins in the world, viz., toxins through the air, water, hybrid food, prescription drugs and stress. The diseases which were uncommon some 50 years ago have now become common. Heart ailments, hypertension, diabetes, arthritis, hyper/hypo thyroid, kidney diseases were once considered old age diseases are now being found in youth as well. Keeping in mind the present scenario one has to be well aware of dos and don’ts of food and medicine. It is essential for an individual to distinguish between organic food and hybrid food and their pros & cons. In the contemporary world no individual can afford to be ignorant of harmful effects of junk, fast food, processed food, tinned food and carbonated drinks, otherwise, it would prove to be expensive. All the visitors are requested to leave comments, compliments or positive & constructive criticism, positively. Thank you!